Guys, welcome to the fabulous world of Kablooie! After many requests for the return of the limited edition shorts I released last Christmas, they are fiiiiiinally here. 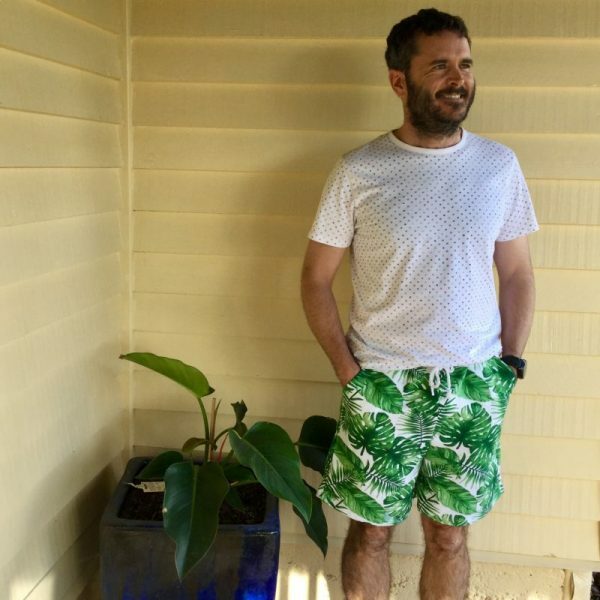 I have tweaked and adjusted my shorts pattern to create these relaxed fit men’s shorts in all the crazy colour and quirky fabrics you love. The Kablooie summer shorts in this Rainforest print on thick cotton are a fun, relaxed fashion statement, and you are gonna love them! Perfect for a unique Father’s day gift for a colour loving Dad, or so you can deck out the whole family in Kablooie and be gloriously matchy-matchy! Check out the Blue Prawny Prawn men’s shorts, Bananas for Mangoes shorts, as well as the limited edition Tropical Nights shorts. You’re sure to find ones you can’t live without. All shorts are made from woven cotton (non stretch). The shorts are simple pull up style with a full waist of elastic, and a functional drawstring. Generous (read real and functional!) side slant pockets are perfectly placed, and shorts sit a few inches above the knee (depending on height) . Shorts are a relaxed fit, not slim fit, and sizing is generous. The drawstring means they can be adjusted to fit your waist, with no buttons, or zips. 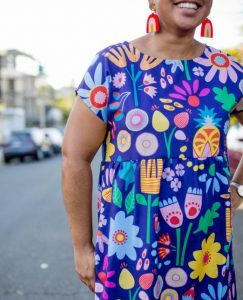 (Model is normally a 34, and wears size medium shorts) Fabric designed by Ellie Whittaker Studio for Kablooie Store, and printed by Next State Print. 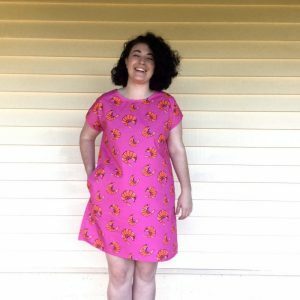 This Kablooie garment is 100% thick cotton. For garment care – gentle machine wash, line dry, and a warm iron before wearing. Care instructions are included on the tag for your convenience. Each garment is cut by hand, and made to order for you. Average turn around time for individual orders is up to three weeks from order to postage, but can take longer at times of high demand.